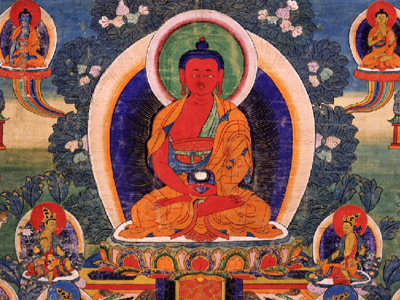 A description of the refuge visualization for the Amitabha Buddha practice. The last three limbs of the seven-limb practice in the context of the Amitabha Buddha sadhana. The seven-limb practice in the context of the Amitabha sadhana, explaining the rich benefits of rejoicing. The seven-limb prayer as part of the Amitabha sadhana: the practices of bowing and making offerings.